A man being mugged by two thugs put up a tremendous fight! Finally, the thugs subdued him and took his wallet. 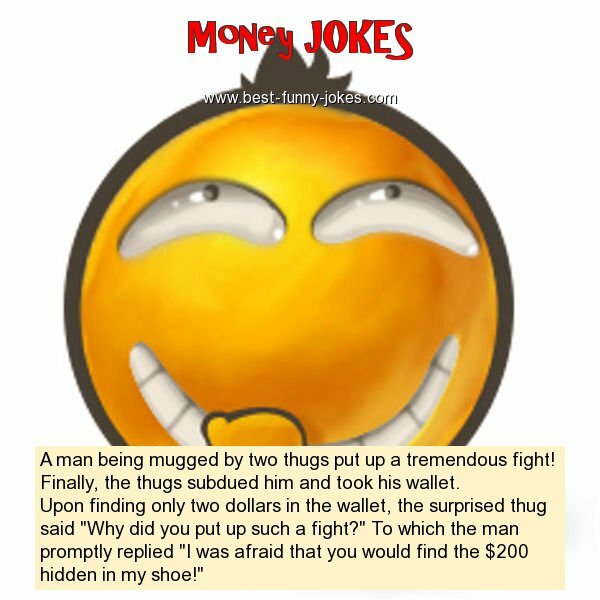 Upon finding only two dollars in the wallet, the surprised thug said "Why did you put up such a fight?" To which the man promptly replied "I was afraid that you would find the $200 hidden in my shoe!"